The search for halon 1301 replacements has been on-going for over 10 years and each alternative brings with it a unique set of properties. 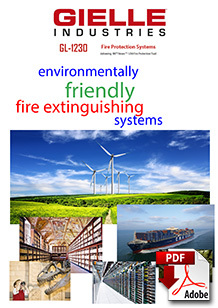 Gielle is certified manufacturer of fire protection systems using Novec 1230 fluid , a new development with some advantages over current technologies. Novec 1230 fluid is known as a fluorinated ketone and is manufactured by 3M. Novec 1230 fluid has low toxicity and has a boiling point of 49 degrees C and therefore exists as a liquid at room temperature. Like halon 1301 it is super-pressurised with nitrogen to 25 bar. Like most other chemical agents, it rapidly extinguishes through a combination of heat absorption (its main action) and some chemical interference with the flame. Novec 1230 fluid contains neither bromine nor chlorine and has zero 0zone depleting potential. The atmospheric lifetime of Novec 1230 fluid is estimated to be in the range of 3-5 days and with a global warming potential of 1, it is considered that the Novec 1230 fluid has no measurable impact on climate change. These attributes ensure that Novec 1230 fluid represents a truly sustainable technology. Acute toxicity testing has shown that Novec 1230 fluid is safe at end use concentrations. The effective toxicity exposure limit is greater than 10% for both the acute inhalation exposure and cardiac sensitisation No Observed Adverse Effect Level (NOAEL) and set against low design concentrations, it offers margins of safety (up to 100%). Despite having a low boiling point, Novec 1230 fluid is able to be effectively vapourised over a wide range of hazard temperatures. It is therefore available to protect most hazards traditionally protected with halon 1301 and will be particularly important in Marine applications and others where high margins of safety and long term sustainability are considered to be important features. One of the advantages offered by Novec 1230 fluid’s high boiling point is that it presents very low vapour pressures, enabling it to be transported in lightweight totes or drums as opposed to steel pressurised containers. This allows Novec 1230 fluid to be readily air freighted and as both initial filling and recharging operations are possible by simply pouring the fluid into containers, prior to super-pressurising, the filling operation is far simpler than with traditional high pressure gases. Provisional S.N.A.P. listing by US E.P.A. Novec 1230 fluid is available to protect most hazards traditionally protected with halon 1301. The physical properties of each halon alternative determine how much agent is required to provide an equivalent level of protection. Novec 1230 fluid will require approximately twice as much agent by weight as the equivalent halon system, although end use design concentrations will be similar, resulting in minimal increases in storage space for the containers. It is likely that any existing pipework would need to be replaced or at least supplemented, although the exact requirement for any particular system can only be determined after a detailed review of the existing installation. 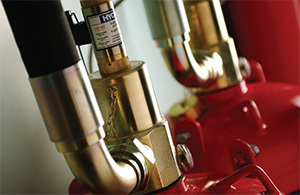 Room Integrity Testing has become an important feature of the commissioning of gaseous fire fighting systems. The integrity test is performed to check that enclosures can maintain a sufficient extinguishing agent concentration for the required time following discharge. This time may vary according to the hazard and the available response time for the emergency services although 10 minutes is often considered to be an acceptable period. Room integrity testing is now a requirement of ISO 14520 and NFPA 2001 at the commissioning stage and may form part of an on-going maintenance schedules. 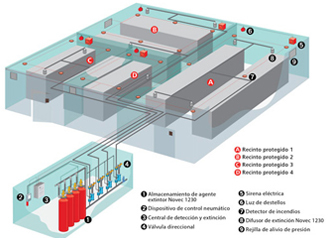 Novec 1230 Fire Suppression System. When fire breaks out in server rooms, data centres, museums and other sensitive environments, sometimes the solution can be as damaging as the fire. Gielle’s fire suppression system with Novec 1230 uses an inert carbon-based chemical that powerfully fights fire yet is safe for property, people, and to the environment. It looks like water but doesn’t cause the damage normally associated with water because it contains no moisture. The result is lower repair bills and less impact on business. Novec 1230 has no harmful impact on the environment. It has an atmospheric lifetime of only five days while the closest chemical alternative has an atmospheric life time of 33–36 years. Federal Government regulations for Ozone Depleting Substances and Synthetic Greenhouse Gases (ODS and SGG), places usage restrictions on chemicals that are defined as controlled substances due to their potential to harm the atmospheric environment. As an environmentally safe inert carbon-based chemical, Novec 1230 is exempt from this legislation. Has no harmful impact on the environment. It has an atmospheric lifetime of only 5 days while the closest chemical alternative has an atmospheric life time of 33–36 years. 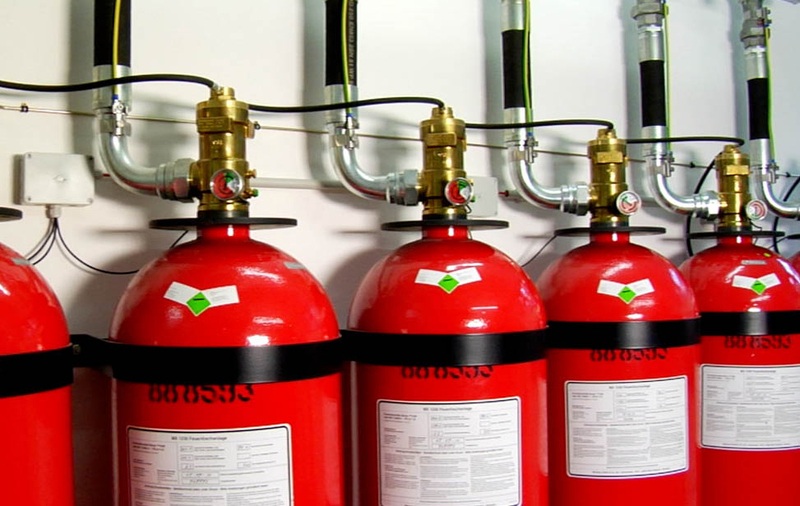 Novec 1230 Fire Protection Systems is engineered to provide clean, fast, people-safe protection for applications requiring a “green” solution to fire suppression. 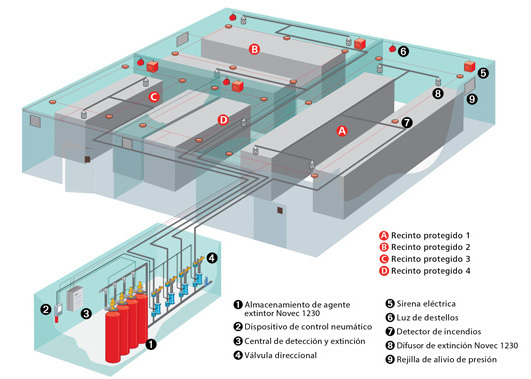 The system includes detectors, a control unit, agent storage cylinders, piping and discharge nozzles. The system is computer calculated to provide system discharge within 10 seconds. • Provides a high safety margin with a 4.2% use concentration and a 10% NOAEL level. 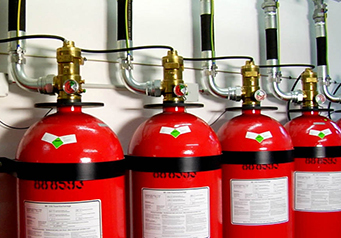 • Listed for protection against Class A, Class B and Class C fires. • Is a fluid a atmospheric pressure and can be gravity fed for easy re-charge. • Extinguishes fire through heat absorption and not oxygen reduction. 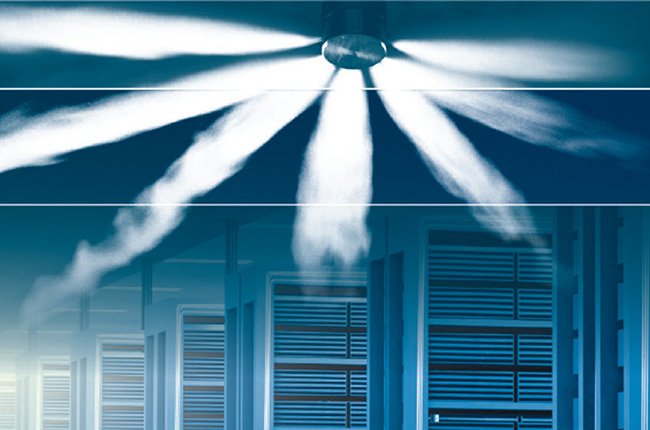 Engineered systems employing Novec 1230 Fluid are typically installed in Data processing centers, IT rooms, telecom switching centers, museum and cultural heritage applications.